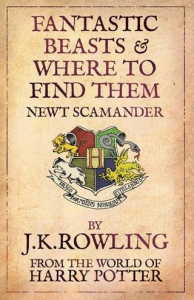 The new movie will feature the adventures of a 21-year-old Newton Scamander. Scamander is an expert in Magizoology, the study of magical creatures. Rowling decided to write the screenplay herself. A screenplay is the text which is used to create the movie; it includes the actors’ dialogue (the words the characters say in a movie). Rowling has done a lot of thinking about the Harry Potter characters, beyond what appears in the books and movies. For instance, Newt Scamander’s fictional grandson, Rolf, eventually “marries” the character Luna Lovegood and they have two children. The new movie is not part of the Harry Potter series. However, it is set in the wizarding world Potter and his friends inhabited. The action in the movie takes place in New York, about 70 years before the Harry Potter stories happened. The movie is the first in a series. Rowling has also agreed to allow products, like video games, associated with the new movie to be created. 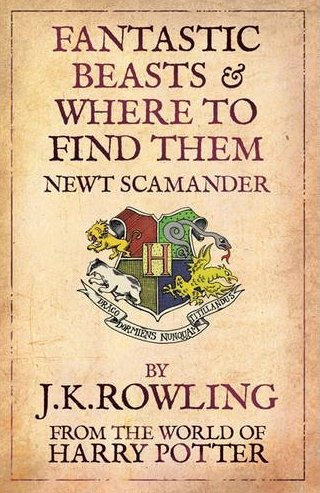 In 2001, J. K. Rowling produced a real-life version of the book called, Fantastic Beasts & Where to Find Them, with proceeds from the sales going to the Comic Relief Charity. Throughout that book, which features 75 magical creatures, are notes written in pen in the margins by Harry Potter and Ron Weasley. The studio has not yet said when the movie will come out. As you probably know, Harry Potter is a wildly popular series of books and movies. Both kids and adults love transporting themselves into the wizarding world of Harry and his friends. This new series of fantasy movies will also include many magical creatures. Do you like fantasy books and movies? Why or why not? Why do you think fantasy is so popular for both kids and adults? In the second line of this article, the verb “written” is enclosed in quotation marks. Similarly, the word “marries” is also in quotes. Why do you think the reporter did this? A noun is a person, place or thing. From this article, write down all the nouns that refer to something or someone fictional (not real), and all the nouns that refer to something or someone real.